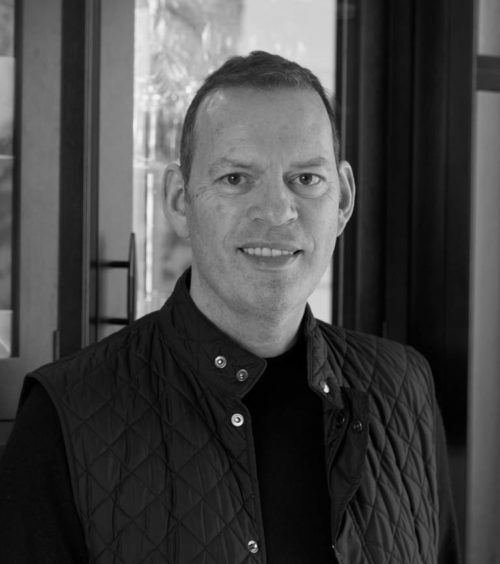 Designer Mark Brook, now Creative Director at McCarron & Co, is based at our Chelsea showroom which this month is celebrating its 5th birthday. Ex-Smallbone of Devizes designer Mark, joined McCarron & Co ahead of the showroom opening and the beautiful luxury furniture on display is a testament the skill that Mark has. He was recently interviewed by David Brough for ‘Chelsea Cross’ which is a close knit community of 24 specialist showrooms in Chelsea SW3 who each offer their own brand of luxury. Mark, how did you get into the world of interior design? Mark: I started training as a draughtsman when I left school. I was always interested in precision and function. I designed commercial kitchens for hospitals, schools and prisons. Then I realised there was little creativity in this: it was formulaic. So I got involved in freelancing in residential kitchen work. An opportunity had arisen: I met someone who was doing well in his own business and couldn’t keep up with the demand. It was a Yorkshire-based company. We survived on word-of-mouth recommendations. How did you make your move to London? Mark: I had an opportunity to move to London to run Harrods Kitchen Design Studio. Harrods had an in-house kitchen showroom and I ran that. I was designing and selling. I stayed there for nine years into the 1990s, eventually taking over the concession. 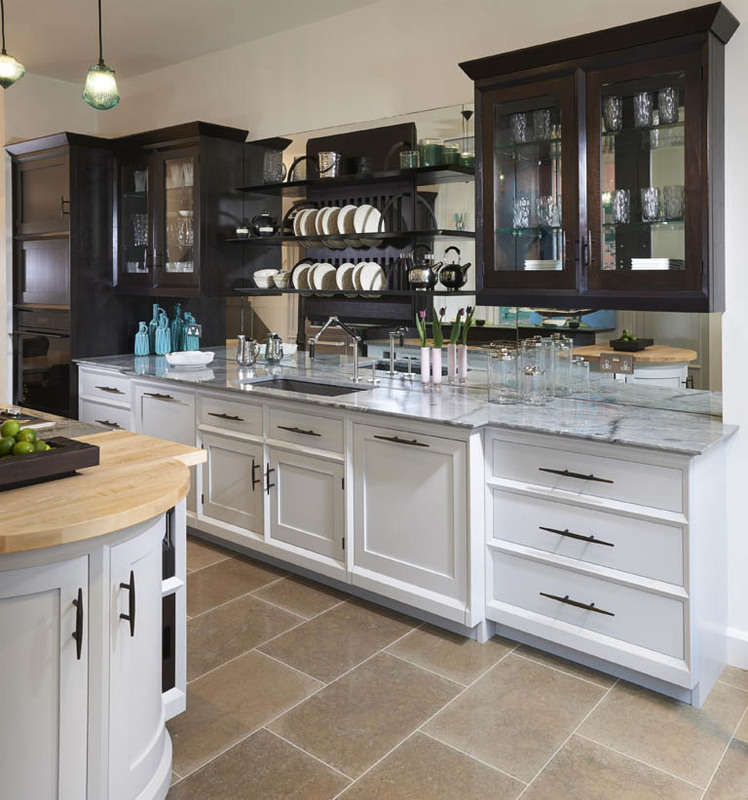 Then I was approached by Smallbone of Devizes to be a senior designer in the late 1990s and started working for them: I wanted to “get back to the coal face” – I had previously been spending a lot of my time in admin and I wanted to devote more time dealing with clients. It was a great period to be at Smallbone of Devizes because the interior design market was buoyant then. What was the interior design business like in London in the late 1990s and early 2000s. Mark: Clients were queuing up to spend their money with us at Smallbone of Devizes. In the late 1990s I did a lot of overseas work. I did home design projects in Cap d’Antibes, Paris and Oslo. Kitchens were, and still are, my specialist area. In Britain, we did as much work out of London as we did in the capital. We would travel to Scotland, Devon and Cornwall, as many London clients also had homes in the country. We would end up doing a lot of repeat business for clients. 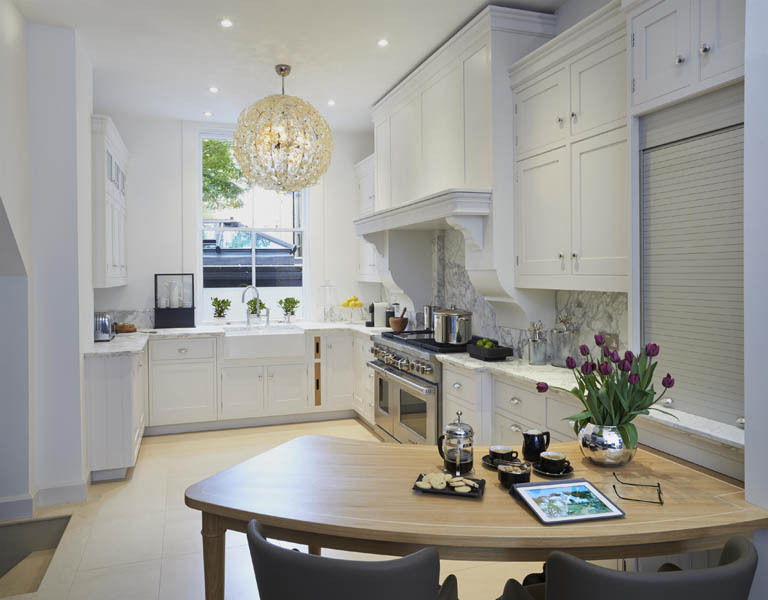 What was your next career move after Smallbone of Devizes ? Mark: I was headhunted by Mark Wilkinson Furniture around 2000. I went there as regional sales director. I spent a lot of time with clients and I ran the sales team. I was also teaching and mentoring new designers. After around 11 years, I took a break from kitchens and moved into interior design retail before I joined McCarron & Co five years ago. How did you make the move to McCarron & Co? Mark: There had been an open conversation to join McCarron & Co when they were in a position to open a London showroom. The company had started as a workshop with a showroom attached, in Bromham in Wiltshire, and I came in to spearhead the opening of the London showroom in 2013. A major incentive for my move was that the workshop could deliver any style and finish of luxury furniture. Joining McCarron & Co gave me the freedom to do bespoke rooms for a really valuable contact list that we had. We had made a name for ourselves with interior designers, architects and developers who wanted to realise the full potential of a project by personalising it and utilizing the skill base that we can offer.We’re getting more high-end London-based developers as clients. “Whole house” projects, for example, have become a staple for us, which is not something that I could have done in my previous positions. I have been a key part of these projects over the last five years. We offer great skills in bespoke luxury furniture design: there are people in our workshop with over 30 years’ experience. Among our shareholders, a big proportion are based in our workshop and I also became a shareholder when I joined. How have you seen the world of interior design change over the past five years? Mark: These days clients increasingly want to engage a company that is big enough to have an in-house architect, construction arm, plumber, electrician and decorator – like one-stop shopping. Before, you would have to approach separate companies to complete these tasks. We work with companies who require us for part of their needs. We’re on their list. Once you have finished a couple of projects for such companies, you become a “go-to” company. What has been most satisfying about working for McCarron & Co? Mark : For me it has been that McCarron & Co have put faith in me to style and dress interior spaces – and that they have shown belief in what I can achieve. If you would like to discuss your project with Mark then pop into the showroom on 84 Fulham Road and he would be delighted to meet with you.